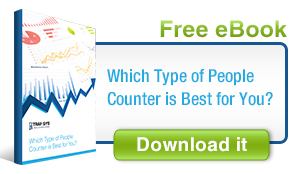 If you are considering using a people counter solution, you’ve probably realized by now there are different types available that claim to offer different advantages. 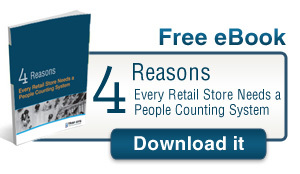 So, which people counting solution will work best for your facility or store? 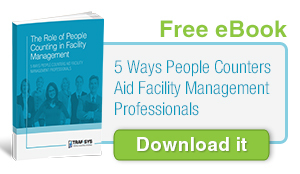 This guide explains the four main types of systems so you make an informed decision on a people counter that is the right choice for your business and your budget. 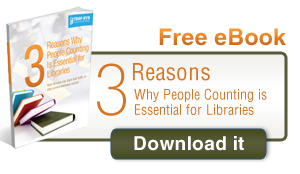 These people counting systems are the most basic and least expensive option. They can be mounted on a doorframe to measure foot traffic coming into your business. They project a horizontal infrared beam across the entrance. The people counter records each “break” of the beam as a single customer as they cross the entrance threshold. PROS: It’s a less expensive option for basic applications, and it’s also quick and easy to install. CONS: The accuracy of these systems is affected by entrance width limitations and possible prolonged blocking of the beam by lingering customers, which may lead to missed counts. 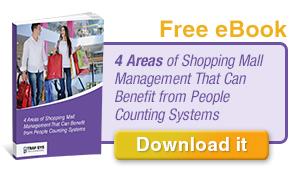 This type of people counting solution is a great option for retailers who require greater accuracy when counting customer traffic. 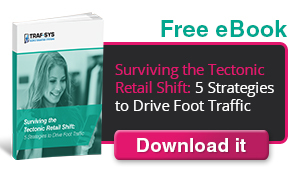 Data from the solution can be fed into analytics software, which maps traffic zones throughout your store. 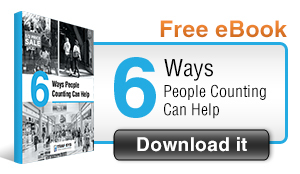 This data is valuable when placing promotional displays or determining staffing needs. PROS: Greater accuracy than horizontal systems and ability to differentiate between adults and children. CONS: Depending on your business’ needs, you may need to use a combination of technologies to reach the level of accuracy you need for your data to be useful. This system uses heat from customer’s bodies to track when they enter and move about your store. 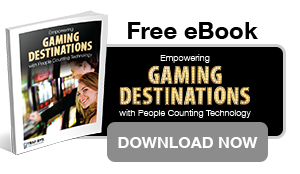 The accuracy is very high with this people counting solution especially in areas with a lot of ambient light. It also works well in low light areas, which is beneficial for security and loss prevention. 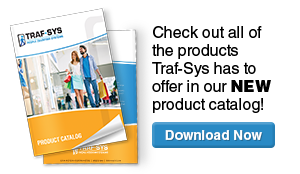 PROS: It provides accurate data on multidirectional movement of customers inside and outside your store. Wide entrances are covered with a high degree of accuracy. In fact, the accuracy of thermal overhead sensor technology is at or above 95%. CONS: Thermal sensors are more expensive because of the enhanced technology. The lower resolution and field of vision make it harder to distinguish between adults and children, which may affect demographic accuracy. Also, the customers must be in motion for the sensor to capture their signal. External weather conditions may also inhibit sensor accuracy. This type of system is ceiling-mounted and uses video to track customer foot traffic in your business. They work best in consistent lighting environments and provide highly detailed information about customers entering and moving around your establishment. PROS: They are able to cover a wide area when combined with multiple video-based units. You can capture video remotely using a laptop or tablet connected to the internet. 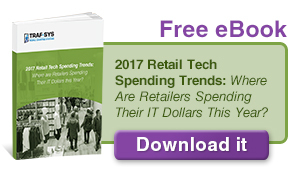 This technology also has the ability to filter carts and children, providing a more accurate count of customers actually shopping. Software upgrades are easy for video-based overhead sensors and can also adjust to lighting and weather changes. CONS: Video-based systems are more expensive than infrared and thermal people counters. Shadows, backgrounds and inconsistent light levels can affect the accuracy of these systems. 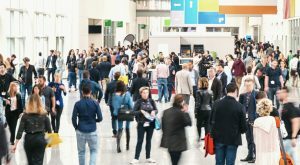 Choosing the right type of people counter for your business or organization will mean more accurate data and, ultimately, a greater return on investment. 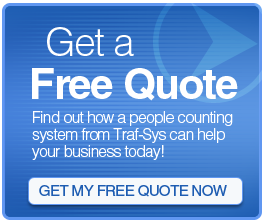 The experts at Traf-Sys are ready to provide you with the information on the various types of people counters available and help you design a solution that gets you the results you need.